Abla, very kindly, translated the half of them. I think these articles shed a light on a period in Turkey. It was the era when the protest music was very popular and important because of the extraordinary circumstances in our daily lives (12 Sept coup/fascism) . Most of these songs have been very important for some people´s lives -like me- and for some, they were the stories of their lives. And all in all, these songs changed our lives. The roots of the rebellious/protest music in Anatolia goes back to 16. century. Asiks who lived in that era, like Pir Sultan Abdal, Koroglu and Dadaloglu who lived in 18th century are still the inspirations. The tradition of rebellion have gone for centuries and have given many song to this geography´s culture. It wont fit into books. Ozan tradition, which was carried into 20 th century with master ozans like Asik Veysel, went into a different period while changing its form. Ruhi Su, who had a western music education gave a different breath to the folk music and become a pioneer of the revolutionist music. On the other hand Âşık İhsani, Mahzuni Şerif, Nesimi Çimen, Davut Sulari, Muhlis Akarsu, Ali Ekber Çiçek, Sümeyra Çakır, Neşet Ertaş, Arif Sağ, Musa Eroğlu and Yavuz Top planted the seeds of ´modern protest music´ by blending the traditional motives in Western forms. While Sanar Yurdatapan with Melike Demirag and Timur Selçuk were representing the modern protest musicians of the era, names of Ali Asker, Rahmi Saltuk and Sadik Gürbüz were standing up as the traditionalists. I was a kid, but I remember Hasan Mutlucan who used to sing the song ´Rearing up again´on a black and white Telefunken tv. He was a great interpreter and the album was a great album called ´songs of bravery´ became the tool of the coup´s propaganda. Mutlucan who was nicknamed as ´the singer of the coup´, expressed his discomfort at every opportunity until he died. "I am fed up to wake up with my own songs´ said the singer who told he was a social democrat and against the coups..
"There is money in this"
There are many respectable singers and groups in each category who could be a subject to a whole writing. Instead of squeezing them into the remaining section we analyze them in the next two weeks. Next week: "singers who use saz as weapon and the words as bullets"
» Selda Bagcan - Yuh! Yuh! Last week I shortly summarized the history of Anatolian protest songs, remembered great masters from Pir Sultan Abdal, Köroğlu and Dadaoğlu to Âşık Veysel and Ruhi Su and mentioned the town trubadures of the 1970’s as a part of the evolution of our poet tradition. The first one of them is the group of artists whose grounding was in the folk music, who used bağlama as their main instrument and who expressed their ideas in a revolutionary, even militant way. The other group then: they were those who while nourished by the local culture acquired their substance from the world-wide culture, who had adopted polyphony as their musical texture and who used poetic, nonstraightfoward style in expressing their message. This week and the next I will talk about some artists of the first group, those who used the saz as their weapon and words as their bullets. I will not tell their stories in the classical biographic format but from the point of view of how they have made an impression to me emotionally. “The word” was the prominent element in the products of this mainstream for whom the media approved of the naming “authentic music”. There were many things that had to be told, many things to feel angry about and this was their priority. Instrumentation and lyrics were elements that could be neglected from time to time. What created a difference between the artists of this type was composition of the melodies. Sure everyone had the poetry books of Nâzım Hikmet, Enver Gökçe, Ataol Behramoğlu, Ahmed Arif, Ahmet Telli and Adnan Yücel. But not every musician could get through the difficult task of composing poetry as it should have been and as the artists I describe in this series did. Ahmet Kaya lived far away from the country he loved dearly, he was unhappy and said an early fairwell to life. “His prosody is unsound”, “out of tone at times”, “inserted arabesque into the revolutionary culture” they said about him. Some critics were right also. However, Kaya had an amazing gift of composing melodies. He managed to provide complicated poems with very powerful melodies. His first album, Ağlama Bebeğim, sold only a few hundred copies. And the splendid Acılara Tutunmak was published in the same year. In this album Kaya used many Hasan Hüseyin Korkmazgıl’s poems. Even if the following album Şafak Türküsü with its songs and musical composition makes the listener long for the previous one the title-track of the album gave Kaya the reason to reach out for different walk of life: “I am not a leftist but I love this man’s lines, my friend!” The artist who had got to the top of music charts with the album An Gelir harshened his style with pieces like Yorgun Demokrat and Başkaldırıyorum. In this period, Yusuf Hayaloğlu with his poems and the master arranger Osman İsmen with his arrangements became each an important factor in Kaya’s music. His later albums always brought forth those two. Şarkılarım Dağlara which took in the song Saza niye gelmedin once more - in contradiction with its name - took all strata into its arms. Kaya’s last studio album, Dosta düşmana karşı is actually one of his greatest albums. 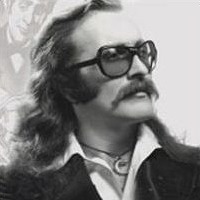 Siz yanmayın, the only new song on his posthumously published collection album Hoşçakalın Gözüm was his reproachful farewell. Even though Ahmet Kaya can be criticized in many ways, he is imbedded in ouf music history as an extraordinary artist. I hope his grave will also be replaced in his own country as soon as possible. As a person who is not a loyal listener I take shelter in the approval of loyal listeners and here I go…Grup Yorum took elements from the Nuova Canción (New Song) movement which was born in Latin America, connected them with the protest music culture of Anatolia and brought forth productions on this line. This band was established in 1985 by Kemal Sahir Gürel, Tuncay Akdoğan, Metin Kahraman and Ayşegül Yordam who were friends from the university. After a year they produced the album Sıyrılıp Gelen which together with its follower Haziranda Ölmek Zor attracted great attention. That is because they were just gorgeous albums. In 1989 the group published first Türkülerle, then Cemo which in my opinion was their last great album. Cemo, which was supported by the master composer Tuğrul Karataş was the peak point in the musicality of Grup Yorum. They were the ”Inti Illimani of Anatolia” back then. Gel ki Şafaklar Tutuşsun ment the beginning of a period of stagnation for the group - for me a period of distancing from it. Certainly there were beautiful songs even in their later albums. But the changing language and musical composition in time also changed the listener profile of Grup Yorum. When the mastermind of the band, Kemal Sahir Gürel, in 1997 left the group I began to feel a stranger to the group for various reasons. As a result, be it even with different members, the group’s finishing 28 years and with its young members gathering a congregation of tens of thousands to stadiums is what I mean. Whatever, there is no one who sings Çav Bella - the song created against the fascism of Mussolini - or Unitad Popular’s propaganda song Venseremos like Grup Yorum does. Happy 28 years more. Last two weeks, I investigated the history of the protest music in Anatolia and I looked at the evolution of the rebellious songs in the context of folk singers. Then, while I categorized the protest music forms into two different categories, I started to tell about "singers who had revolutionary rhetoric and using the traditional folk music as their foundation" with Ahmet Kaya and Grup Yorum. This week I will continue with the names that can be added to the the came category, despite having some differences. I should say first of all: the names I am giving would stand up amongst the revolutionist singers during that period. Others, very similar to those two, did not make to the large crowd of people and span into the time as much as they did. But during the bombardment of ´unique music´ from Unkapani -the pace where Turkish music industry lives´, we met very valuable singers, listened to very beautiful albums. Lets talk about them as long as we have enough space here today. Arif Kemal : When he released the album, ´Red Turkuleri-1´(-Rejection songs-1), he was mentioned as ´he is a new Ahmet Kaya´. But in fact, Ahmet Kaya was a mad Anatolian breed; and unrefined rebel, he was "brother Ahmet". 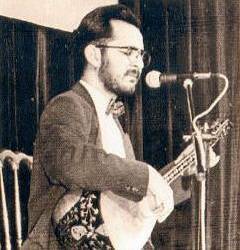 On the other hand, Arif Kemal was a naive, a calm opposition who was staying within the limits of his academic music education. The album was really beautiful. The songs "Gece gelen konuk" - guest who came at night- from Yağmur Atsız and "Bu ask Burada biter"-this love finishes here- from Ataol Behramoglu, with Arif Kemal´s brilliant compositions were in this album. The strong songs like Lyric-composition from Kemal himself "Vururlar, Asma Altı, "Öfkem" and lyrics from Kenan Ercan "Kanayan" were extra delights. In fact, red Turkuleri was a collection project in which each album would be given to a different singer. But because of Arif Kemal´s performance, they continued the series with him but unfortunately with its unflattering songs and specially with its crappy arrangements they released Red Turkuleri-2 . Then fortunately a few months later, came Red Türküleri-3, containing very beautiful songs: The song "Asıl Adalet" removed the disappointment. Musical touches of master composer, Tugrul Karatas, were obvious in the album in which lyrics of Nâzım Hikmet, Paul Éluard, Bertolt Brecht and Hasan Hüseyin Korkmazgil were used. Arif Kemal who did not make another album after Red Türküleri-4 which was consist of concert recordings, have been a music teacher abroad for a long time. I hope the singer Arif Kemal whose real name is Arif Karakale, comes back to his country soon and makes Red Türküleri-5, not depraving us from his talents any longer. Haluk Özkan: We met him with "Vira Bismillah". Then we loved him with two magnificent albums called "Dost Dost İlle Kavga"and "İdam Gecesi". The singer who gave life to beautiful compositions with his extraordinary voice, he showed a rebellious posture with his albums during 1980s. He changed his tone with the album ´Deli Sevda´. But again he did lovely works, in fact with his second tune, he become more famous. The singer released the album ´Mutlu Aşk Yoktur ´ in 2011. Grup Merhaba: Consisting of the names Cem Doğan, Göksun Doğan, who also worked for Ezginin Gunlugu, Varol Bulut, Birsel Acar ve Ali Bülbül, the group´s album Memleketim is for archiving. The song made by Cem Doğan for the poem ´Acıyı Bal Eyledik´ from Hasan Hüseyin Korkmazgil is an amazing composition. The album also contains the beautiful songs like Ertuğrul Ağıtı, Memleketim, Ağıt and Ne Fayda. Unfortunately the group could not repeat the same performance after the first album and split. Ferhat Tunç : the singer, who made the album with Kizilirmak, called ´Bu Yürek Bu Sevda Var İken´ which himself referred as ´carrying the signs of objections to coup of 1980´, in germany -where he went in 1979- made his name known to the large crowd with the album ´Vurgunum Hasretine´ , released in 1986. The songs Kerem Gibi, Vurgunum Hasretine, Söyleyin Ağlamasınlar and Birleşir Ellerimiz were loved very much. The singer who continued with the albums, Ay Işığı, Yana Yana and Yaşam Direnmektir, got some negative reaction from his loyal listeners because he changed his direction during the period while he worked with Prestij Müzik . Fehat Tunch who made 20 albums and still continues with his music, explained his philosophy as ´life is resisting´ in an interview he gave to daily Taraf´s "20 questions" section. Grup Baran: They almost exploded with the album Yediveren in the end of 80s. The song, Istanbul, lyrics from Vedat Türkali , entered amongst the classics in this type of music. But after releasing their second album ´Kuytuda Başak´ they split and the founder of the group Onur Akin started to work by himself. Gülhan: Gulhan Tabak who used his first name in his albums, he had quite a good number of listeners with the albums Çiçek Annem and Gözyaşları da Çiçek Açar. I don´t know the first one but Gözyaşları da Çiçek Açar was a lovely album. Especially the song which gave the name to the album, was so intense that it could make a mess out you. Hasret Gültekin: he realesed his album, Gün Olaydı , when he was only 16. The singer who then, made the album Rüzgârın Kanatları too, kept singing with his beautiful voice until he got murdered in Hotel Madımak in July 1993. After we missed last week due to reasons which were beyond my power I now in this series begin to examine the category of those artists whom I separated from the group of revolutionarists and whom I defined as “opposition artists who while nourished by the local culture acquired their substance from the world-wide culture, who had adopted polyphony as their musical texture and who used a poetic, nonstraightfoward style for expressing their message”. Those who belong to this group have a few specialities in common. First of all, as a natural result of their musical quest they were all groups. Another thing is, compared with those artists whe have told about in the last few weeks, that these artists reached narrower walks of life in the 1980’s. Their language and ways were not addressed to everyone but to people who we can call educated, especially university students. But - on those days that we are discussing here - they were respectable artists who did not fit into the molds the music industry of Unkapanı or the media had to offer for them and who struggled to protect their own ways and rebellious identities by keeping away from commencial concerns. You know very well most of the groups I am going to introduce. That is why - with the exception of not so well known groups - I have no intention to tell each one’s classical biography. Let us look at them from the standpoint of what their connection is with our present topic. Yeni Türkü was the first representative of the Latin American origin “Nueva Canción” (New Song) movement in Turkey. Buğdayın Türküsü (‘the song of the wheat’ ) which came on the market in 1979 was their most political album. There were revulutionaly style songs like Mahpushane Kapısı (‘the prison door’ ), Beyazıt Meydanı’ndaki Ölü (‘death at the Beyazıt square’ ) and İşçi Marşı (‘workers’ march’ ) on this album which mostly consisted of Selim Atakan’s melodies. Sardunya’ya Ağıt (‘requiem for the pelargony’ ) and Sonbahar çizgiler (‘autumn lines’ ) also known as ”Mamak türküsü” which came out with different compositions in the later albums were actually central parts of the Buğday Türküsü album which had been banned and withdrawn from the market. 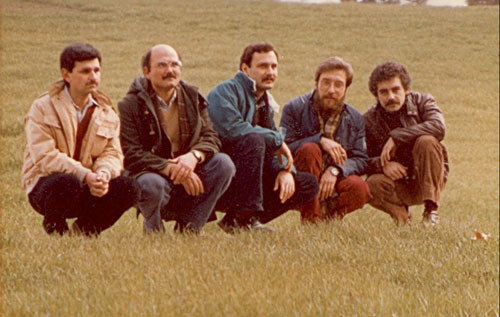 It was a kick-back, the style unavoidably softened a little but the group still kept the critical tone of its voice: Akdeniz Akdeniz (‘Mediterranean, Mediterranean’ ), published in 1983, took in songs like Telli Telli (‘crane crane’ ) and Çember (‘circle’ ) which conveyed the pains of their era. In this album the group’s cooperation with Murathan Mungan took its first steps. In my opinion, Günebakan (1986) (‘sunflower’ ) is Yeni Türkü’s most beautiful album. It began to demontstrate Derya Köroğlu’s value as a melody maker and introduced gorgeous songs like Rüzgar (‘wind’ ), Göç (‘migration’ ), Yaprak dökümü (‘leaf cast’ ), Kalırsa bir soru (‘if there is still a question’ ) and Başka Türlü bir Şey (‘something else’ ). While Göç Yolları (‘migration paths’ ) and Dönmek (‘returning’ ) from the 1987 album Dünyanın Kapıları (‘gates of the world’ ) and Haydı Gel (‘come’ ) and Fırtına (‘storm’ ) on Yeşilmişik (‘we were apparently green’ ) which saw daylight one year later represented the revolutionary identity of the Yeni Türkü, at the same time songs like Resim (‘picture’ ), Yağmurun elleri (‘hands of the rain’ ) and Destina ensured that the audience of the group widened rapidly. After the album Yeşilmişik changes happened in both the assembly and the style of Yeni Türkü. Vira Vira from 1990 in fact was an album which says ”enough rebeldom, dissidence and political stand for now”. Certainly every era sets its own conditions, you cannot always use the same words. But together with this album, the group hid their rebellious character in their back pocket, just to be taken out occasionally, when requested in concerts. Yeni Türkü entered into the times of Yepyeni Türkü - “the brand new song”. What followed it was inner disagreements in the group, separations, but still more albums with beautiful songs which carry us out of our theme, though. As a listener, I love the composer Derya Köroğlu very much, but his current group is not Yeni Türkü any more. Yeni Türkü has had its day. First of all, I want to remember Eftal Küçük who left us in 2003 and Erkan Oban, who was the founder of the group. Küçük died in May last year. He used to be a member of Yeni Türkü: he played the bouzouki, the kemancha and the guitar in the albums Akdeniz Akdeniz, Film Müzikleri and Çekirdek Sanat Evi Resitali. When Yeni Türkü moved from Ankara to Istanbul in 1984, he decided to take another road and established Çağdaş Türkü (‘the modern song’ ) in the beginning of the year 1985. His companions in the group were Erkan Oban, fretless bassguitar, Tolga Çandar, bağlama, and Bahadır Suda, keyboard instruments. They had no solists. Eftal first tried to sing himself but as it did not work he began to search for a singer. He found out what a beautiful voice Tolga Çandar had. The group was complete. And it was so complete that soon enough they made the album Bekle Beni (‘wait for me’ ). Rami Kıslası (‘Rami barracks’ ), Bekle beni and Kenar Mahallede Bir Pazar Günü (‘a Sunday in the suburb´ ) which was played in Yeni Türkü’s concerts also before 1984 took their place in this album and became impressive examples of the protest music of those days. After one year a new album called Delikanlıya came out. Even though the influence of the first one was obvious it had beautiful hopeful new songs: Delikanlıya Türkü (‘song for the young man’ ), Oradayım Şimdi (‘I am there now’ ), Yeryüzü Aşkın yüzü oluncaya dek (‘until the surface of earth is the surface of love’ ). Unfortunately Delikanlıya was the last thing the group made. Eftal Küçük began to work as an engineer, Tolga Çandar started his solo career and published the album Türküleri Ege’nin in the same year. Erkan Oban continued to create music with other musicians. Bahadır Suda had left the group already after Bekle Beni. Çağdaş Türkü made sincere songs which were painful but also hopeful about the future. They preferred poetic language to slogans. Even though they published only two albums, they are an important part of the history of our protest music. From Pir Sultan Abdal to Ruhi Su, from Zülfü Livaneli to Kerem Güney, I mentioned the rebellious poets/singers of Anatolia and the evolution of protest music in the first writing of this series. I, then, explained the ´revolutionist singers´ who belong to one of the two main streams appeared in 1980s. I entered the category of the singers who claimed "being inspired by the local culture, they are trying to catch the universal values; and adopted the polyphony in their music form and accepted poetic and indirect style in lyrics" and talked about Yeni Türkü and Çağdaş Türkü. I am concluding the series with other three groups from the same category. Ezginin Günlüğü : It was established in 1982 when the pressure was intensified. Giving a concert was difficult and making an album was problematic. But the founding members, consisting of Emin İgüs, Nadir Göktürk, Hakan Yılmaz, Şebnem Ünal and Vedat Verter, managed to sing in a concert a few months later, despite the difficulties. Together with Emin İgüs and Nadir Göktürk with Tanju Duru and Cüneyt Duru joining them, the core four members, released their first album ´seni dusunmek´ in 1985. The album that was mainly having traditional songs, had unique songs, composed from poems, like Gelmiyorsun , Bilinmeyen Ülke and Seni Düşünmek Güzel Şey attracted attention. A year later came Sabah Türküsü (wow.. still gives the same feeling.. -agzimda bal gibi tatli bir turku- ). Apart from the song which gave the name to the album, the songs like ayrilis , sen giderken, and with A Kadir´s poem, reflecting the pains of the period, Mahpushane Düşünceleri were the songs remained to this day from the group. Other albums were made of Azeri songs , Alagozlu Yar in 1987 and a year later Bahçedeki Sandal. With Sumru Ağıryürüyen and her amazing interpretation, Bahçedeki Sandal is a very strong work of the group. After releasing Oludeniz in 1990 Ezginin Günlüğü went through a big change. After the other members leaving the group, Nadir Gokturk who remained the sole member, decided to continue with the youngsters and the group´s second period has started. Though old fans found it a bit strange, with the new member Husnu Arkan´s writing and composing abilities, the group made wonderful albums. I like the both periods of the group. But because of the era, started with amazing album Istavrit , is not in the period we are looking at, I wont go onto details. Mozaik: There is no other group like mosaic. It is a sui generis. They called their music as ´fusion´ in a magazine. They would inspire themselves from the world music, jazz and rock and would make wonderful mixes. They were a group for concerts only. They would interpret foreign, especially south American protest folk songs on the stage. Then the album ardindan came along. Though this 1986 album had beautiful song like ´Bitmeyen -my favorite-, Trapezci Kız and instrumental Kör Uçuş and Üç Gitar, my favorite is Çook Alametler Belirdi which came two years later. The magnificent songs like Kendi Bıraktığım İzlerde , Bir Bisiklet Gezintisi and the song Sappho ile Konuşma , sung by Sumru Ağıryürüyen -we mentioned in Ezginin Gunlugu- were in this album. When came 1990, they released a fantastic album again, Plastik Aşk. The songs like Bindokuzyüzseksenbir, Bildiklerimiz and Emekli Albay Hilmi Ertunç would reflect the life after 1980 in both dramatic and ironic way. Furthermore, the song, they made for Victor Jara and they used the melody of Victor Jara´s song Manifiesto, called Ölü Bir Adam and the song, protest for new times, Plastik Ask are masterpiece. The group, made of Ayşe Tütüncü, Bülent Somay, Mehmet Taygun, Timuçin Gürer, Saruhan Erim and the ex columnist of daily Taraf, Ümit Kıvanç were split after that album. The album which had their concert recordings, Ölümden Önce Bir Hayat Vardır, was released in 1993. Ayşe Tütüncü and Bülent Somay continued to make good work with other groups. Bulutsuzluk Özlemi : Nejat Yavaşoğulları is a strong opposition of every era. He writes beautifully, composes beautifully, screams beautifully. I don´t want to squeeze his music journey which started with Nejat and Reha in Caniko and the song entered his first album called ´mavi kaset´ and continued with Bulutsuzluk Özlemi . I would write without any restriction when they release a new album. Then I can add the interesting sections from an interview I made with Nejat Yavaşoğullari but could not publish as I had to leave the magazine the following day. In fact there are many things to write. Because, 80s is one of the two periods the protest music was accepted by the masses. (The other era is 1970 as I mentioned earlier)It was the times the protests songs were made to the streets, coffee houses and palaces where people would drink... The time and conditions have changed. There will always be protest musicians but unfortunately the rptest music will never be as popular as it was in the past. However, rejection songs never finish. Because any time, in any place rulers are bad, ruled are bad; human beings are bad. Goods who are minorities, will always write something, draw something and sing something. And the last word: Defiance, always defiance.